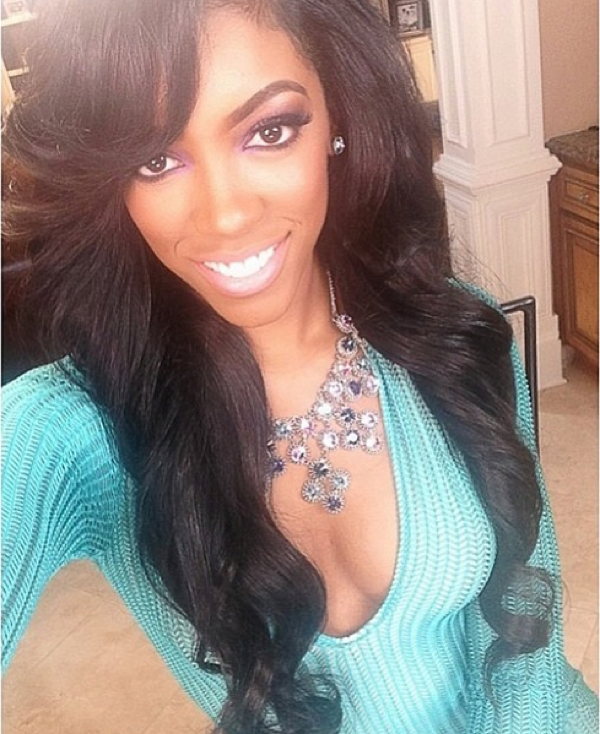 “The Real Housewives of Atlanta’s” Porsha Williams arrested AGAIN! Porsha, Porsha, Porsha! What is going on? We already know. Apparently the reality television star was pulled over yesterday for speeding. She was doing 78 in a speed zone of 55! Super speeder much? What should have resulted in a simple citation soon became a full fledged arrest and booking when officers discovered she was driving with a suspended driver’s license! People can have their license revoked or suspended for any number of reasons. There is no word on what caused hers. TMZ (unsurprisingly) is currently trying to procure her arrest record so we will know soon enough. She was let out on bail mere hours later. As you might recall, this is Porsha Williams’ second brush with the law in less than a year. Earlier, in April, she was arrested for assaulting her cast mate, Kenya Moore, during the sixth season reunion special. She was demoted to a recurring character (not for the incident allegedly), but for not having a strong story line this season. Let’s just hope this recent run in with the law will not affect her Dish Nation position on the Rickey Smiley Morning Show. As you know Atlanta radio stations are quick to cut media personalities with negative publicity. Do the names Amanda Davis and Porsha Fox ring a bell? Now, let’s see her new mug shot; hopefully it will be as flawless as her last!